We often work alongside interior design teams to bring your vision to life. For this Endo Office, we worked with the talented people at Bold Design. The job featured Tandus Centiva Luxury Vinyl Plank, Olympia Brave Series Porcelain Tile and Johnsonite Millwork base. The Plank was installed in a framed herringbone pattern. 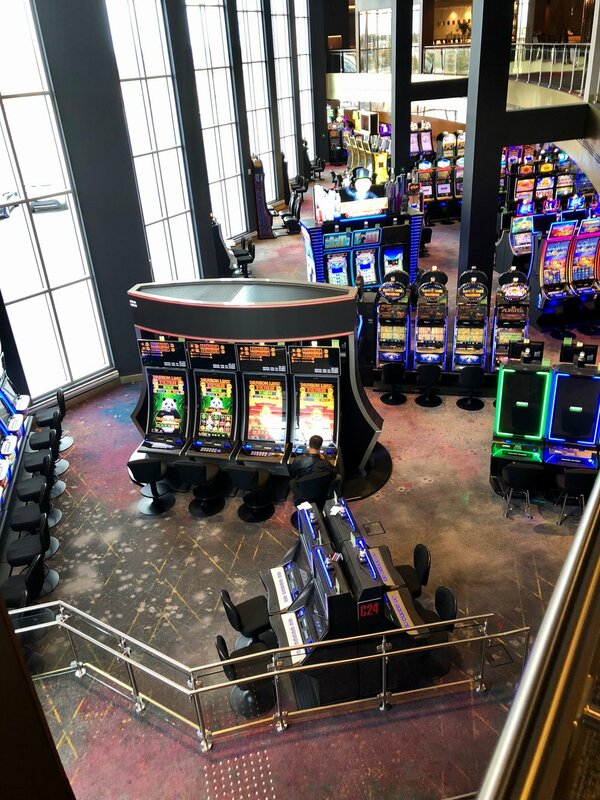 The Starlight Casino was fully operational during the entire construction process, and we were working with very aggressive timelines for the 3 phases during this massive expansion and renovation in order to maintain their daily operation. We had many shifts that were as long as 20 hours with as many as 13 installers at one time due to the sheer amount of work and coordination required with other trades in given areas. The restaurants were fully operational, therefore the large commercial kitchens (3 in total) had to be dismantled and moved, sometimes in a matter of a few hours to maintain service as we went from phase to phase. Coved Altro Safety Flooring was installed in all kitchens, with Tarkett Rubber tile in all other back of house areas. All wheelchair accessible ramps in the carpeted areas had to have hundreds of tactile domes individually drilled and epoxied into the floor after the carpet was installed, so a template had to be created for that application. Our scope in every phase was completed in less time than we were allotted. 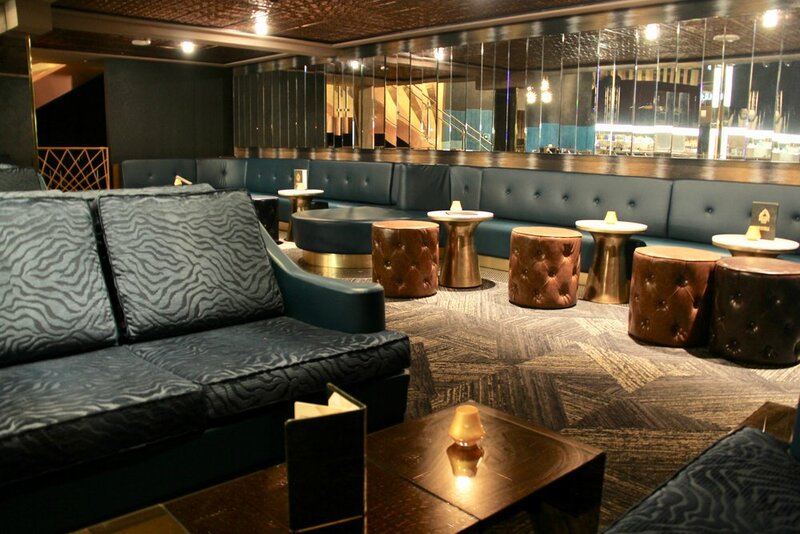 Because this was a phased project and the carpet was designed as one single pattern throughout the 6500 square yard floor area, all of the 60 + rolls of broadloom had to be installed in specific sequence. To add to the challenge, there was no storage space on site for future phases, so rolls had to be delivered only for one phase at a time. Because the casino is located on the second and third floors of the mall, all materials had to be crane hoisted into the site from the main level of the parkade. Due to the fact that the Casino was fully operational throughout the construction period, hoarding had to be erected to separate the construction phases from the operational casino. In some cases, the hoarding walls were at oblique angles to the carpet being installed, so rolls had to be cut off, re-rolled for storage, and labelled as to where they joined on once the next phase was opened up and hoarding re-erected, and the marked rolls hoisted off site. This was a double glue installation and the carpet, with such a large match from one roll to the next (sometimes as much as 30 rolls apart, due to the phasing), had to be stretched and manipulated to make the entire installation appear seamless. We employed 3 power stretchers and six double headed carpet crabs to achieve proper matches. The hardwood areas had to be completely ground and re-levelled with Ardex V-1200 Self Leveller to meet the flatness requirements as more than 10 separate pours of slabs done over the course of 40 years were involved. The end result has garnered Cutting Edge many accolades for next to zero deficiencies, and having every phase completed within our allotted timelines. 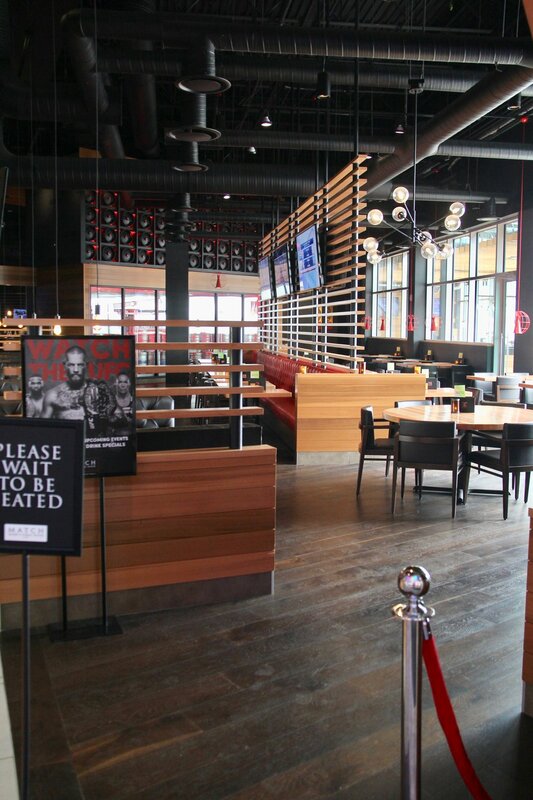 A complete renovation of this establishment. New wall stone and custom wood wall tiles, Mannington LVT and Patcraft carpet on the floor. Carlo Limio was the project manager on this one. UPDATE FEBRUARY 2016 - This award winning project was featured in the January/February 2016 edition of North America's leading Floor Covering publication after winning first place in the North America-wide web contest for commercial resilient flooring installations. A demanding coved linoleum project with curves and heat welding in a commercial kitchen and lunch area, this was about as difficult as an installation can get. 9 colors of Forbo Linoleum with 8" coving and offset color weld rod, with a high gloss finish applied.